We recently completed a fun project that is notable for a few reasons. 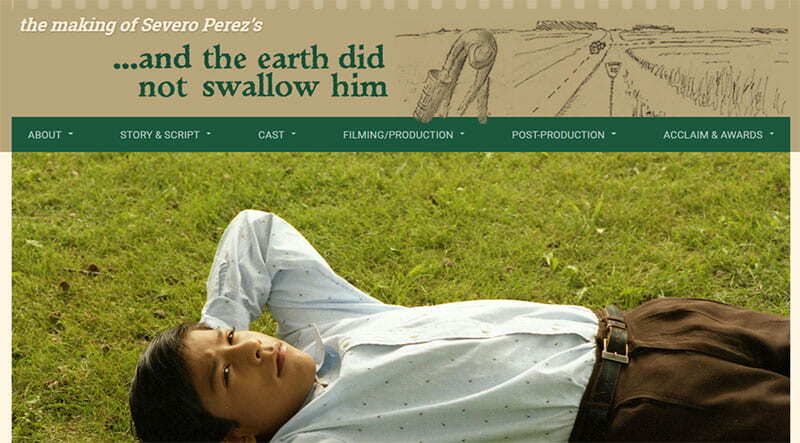 The first is because the subject of the project was creating on online exhibit on the making of Severo Perez’s beautiful film, … and the earth did not swallow him, based on Tomás Rivera’s classic 1971 Chicano novel, …y no se lo tragó la tierra, which is a semi-autobiographical novel that recounts the life of workers and families of the migrant camps where his family stayed while doing farm work. 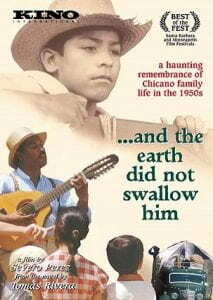 In 1995 Severo Perez wrote an English screenplay, using his own translation, produced, and directed a film version of the novel. The film was well received and received critical acclaim and several film awards. 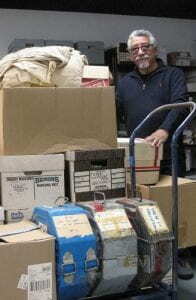 In 2014 Severo Perez donated the production archives from the film to the Wittliff Collections at Texas State University. The Severo Perez Archive is a comprehensive collection that traces the development of all of his major works, from the first drafts to the finished productions. Included are scripts, correspondence, location photos, storyboards, animation cells, casting photos, production forms, continuity photos, rough cuts, outtakes, master reels, sound reels, editing logs, artifacts, and publicity materials. He offered his time to help with the online exhibit and went through his archives with Steve Davis, the curator of the Southwestern Writer’s Collection. The third and possibly most interesting feature of the exhibit is its arrangement. We were able to create a unique web resource which not only provides information on the making of this film but also explores the film making process in general process from beginning to finish, drawing from the extensive materials in the Severo Perez collection. With the assistance of the Texas State Instructional Technology Services Video Production team, we conducted a new video interview of Mr. Perez talking about the making of the film. 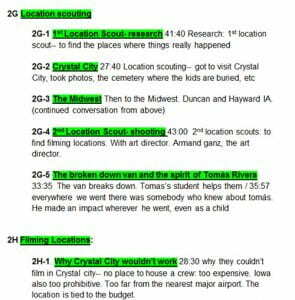 Steve Davis reviewed the video and took notes and included time codes with each note. The next step is probably the most important part of the process. Mr. Davis rearranged his notes by topic and added topic headings based on his knowledge of the content and arrangement of the collection. These rearranged notes then became an outline which was used to construct the framework for the exhibit in Omeka by our programmer, Jason Long. Todd Peters used the outline with time codes to create 109 short video clips from the 2.5hr interview and Jeremy Moore, the Digital Media Specialist, digitized objects selected by the Curator. Jason put everything together into the site and we went live in late Spring 2016. This entry was posted in The Wittliff Collections and tagged by Todd Peters by Todd Peters. Bookmark the permalink.